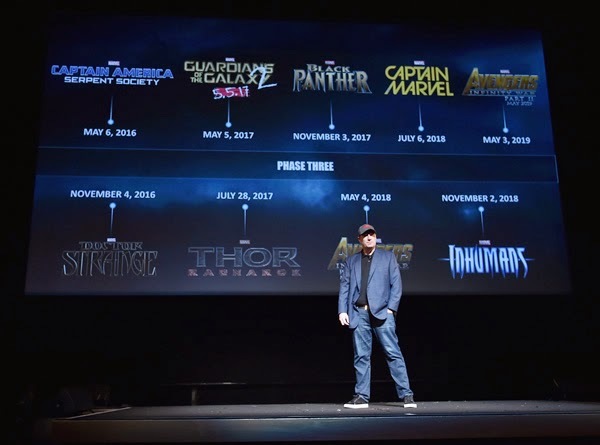 On the morning of October 29, 2014 Marvel Studios announced the films that will make up Phase 3 of the Marvel Cinematic Universe. Now not only do I love Marvel films, but my kids love them too. So this list below made for one very excited household. The year of waiting for some of these is going to be torture! Of course with the recent release of the Avengers: Age of Ultron official trailer, we are most excited for that movie. I also can't wait for Captain America, Thor and Guardians! Which of these upcoming movies are you looking forward to?